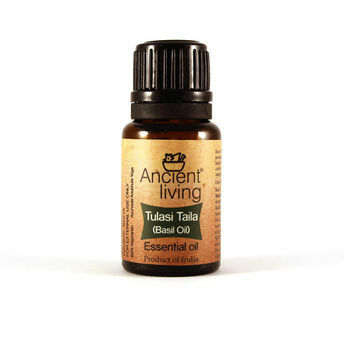 Breathe organically, purify your lungs with Ancient Living's pure Basil Essential Oil. It has a warm, spicy, yet herbal aroma known to enhance memory function while reducing stress and tension. When used in a vaporizer, Basil Oil provides therapeutic relief to both the mind and body. Basil Oil lessens tension when applied to; the temples and back of the neck. Basil Oil is rich in linalool content, which makes it an useful remedy for sore muscles and joints. Basil oil enhances the luster of dull-looking skin, acts as a cooling agent and helps to control acne when applied topically.